Tonight at 9 pm PST Microsoft will announce the launch of Windows Live Spaces, a blogging and social networking site on the Live.com platform. As Microsoft phases out the MSN brand in favor of Live.com, they’ve moved services over one at a time to the new platform. 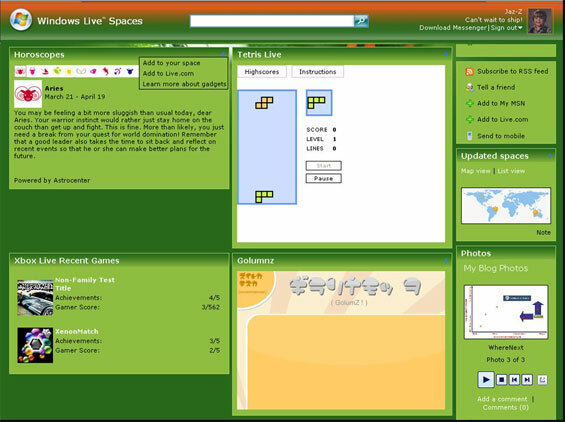 Unlike Windows Live Messenger, though, which runs in parallel with MSN Messenger, Live Spaces is taking over MSN Spaces completey – MSN Spaces pages now redirect to Live Spaces URLs. This is no small decision, because MSN Spaces is currently the largest blogging platform with over 100 million unique monthly visitors. 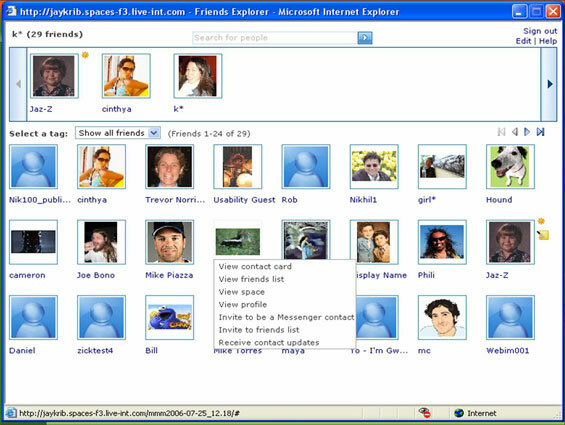 Live Spaces is a better platform than MSN spaces, assuming it’s as stable. There are two key new features. The first is a Friends Module that can be added to a space. Users then invite friends who will then appear on the site. Clicking on the messenger icon will initiate an IM session with that friend as well. With another click you can view all of the friends of your friend, expanding your network (and racking up page views for Microsoft). This last feature is called Friends Explorer – see the first large screenshot below. Second, Live.com gadgets can now be added to spaces with a single click. The last screen shot below shows a number of gadgets live on a spaces site.